Acai- a South American palm tree that produces a blackish-purple berry. Or one of Pantone’s Fall 2013’s color trends to watch. It’s a deep dark rich purple with a tinge of blue and a dash of black. Now, normally I am not a fan of purple. I usually find it too obnoxious. It may be that I was once told, probably as a child or impressionable tween, that preppies did not wear purple. Whether it is true or not remains to be proven, but Acai is growing on me. 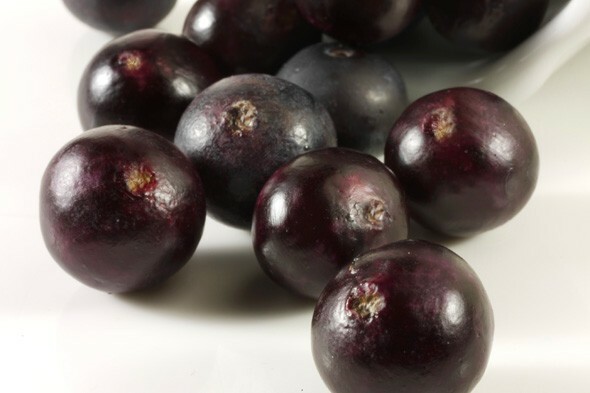 Unlike some purples, Acai is not bright. It has a depth of color that makes it more appealing. It doesn’t shout but rather whispers quietly letting you know it’s there. As an accent it’s a burst of bold color without being over powering. My style would incorporate accents of Acai rather than use it as a prominent color. Royal, majestic and mysterious, Acai offers a flair for the dramatic when used as a prominent color. Paired with metallic accents it’s a quintessential look of luxury. Mix in patterns and textures for elegant finishing touches. Not only will Acai be trending for interior colors, but look for it on the runways too. Where fashion goes, interiors are never far behind. Whether you call it Acai, Wisteria, Eggplant, Aubergine or Byzantium it’s still purple. What are your thoughts on it?